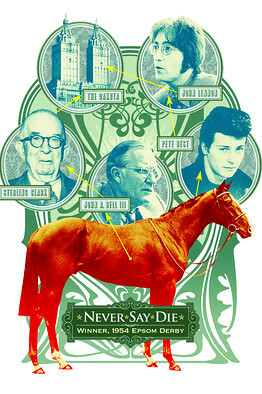 The Horse That Birthed the Beatles . Beatles Radio: The Beatles, Solos, Covers, Birthdays, News The Fab 4 and More! Nearly everyone of a certain age can muster memories of "The Ed Sullivan Show" on one Sunday evening in February 1964. The Beatles had arrived in New York City for this live broadcast and rendered the crowds of screaming teenage girls waiting for them at the airport senseless with adoration. Then 73 million more people joined the madness from our living rooms, twisting our televisions' rabbit ears in unison to bring the Beatles into our homes. We had no social media to alert us to something momentous trending on Ed Sullivan's show. But we sensed a cultural shift. What could this have do with goings-on down in the Bluegrass horse country of Kentucky and the beginnings of a global shift in the horse industry? At the time no one could have made the connection except for Pete Best, and he was not immediately heard from: In late 1962, the Beatles had fired Mr. Best as their drummer, replacing him with Ringo Starr. Few, if any, Americans knew about the importance of Pete Best—and none could have guessed the role a horse played in the whole tale.